Yarrow is blooming in the herb garden these days. One of the wild herbs, yarrow sows itself where it will, and because I find it both beautiful and useful, I am always glad when it plants itself nearby. Yarrow has much lore associated with it, and if that interests you, Botanical.com and this article have some very interesting notes on this herb. It is the best styptic I've found. A crushed yarrow leaf will stop a nosebleed or a bleeding cut in short order. Yarrow is used for healing wounds and can be made into a poultice or salve for treating cuts and scrapes. Yarrow is suggested for treating colds and flu. 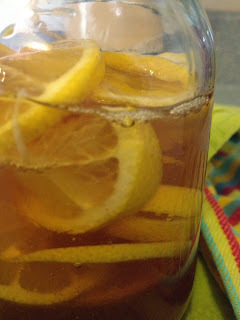 I add it to cold remedy brews along with peppermint, ginger, and elderberry honey. Yarrow is also said to relieve the pain of a toothache, and I have on occasion stuck a yarrow leaf on the tooth/gum that is causing me issue. The flowers and ferny foliage make lovely additions to floral arrangements. 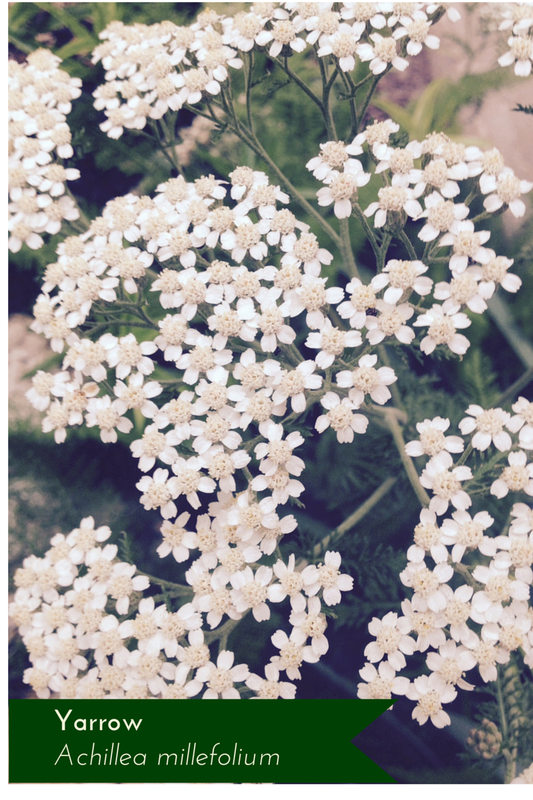 Does yarrow grow in your herb garden or lawn? What is your favorite way to use yarrow? Joining my farmgirl sisters in this week's Farmgirl Friday Blog Hop!